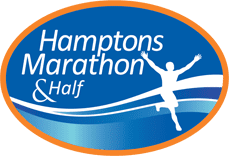 Raising money for charity is an excellent way to make your participation in the Hamptons Marathon & Half an even more meaningful experience, and help keep you running when the running gets tough. We have partnered with JustGiving to enable our participants to fundraise directly for our Official Charity Partners, Southampton Hospital, Southampton Educational Foundation, Southampton Youth Services and the Southampton Volunteer Ambulance Corps. GallopNYC brings the proven benefits of therapeutic horsemanship to provide measurable benefits for people with developmental, emotional, social, and physical challenges. Through weekly riding sessions with PATH-certified instructors, we help riders learn new skills, inspiring each one to live life as fully, productively and independently as possible. GallopNYC serves over 500 hundred riders every week at six NYC locations, including two sites that are GallopNYC’s own. GallopNYC is committed to serving low-income families since they are more likely to lack access to adequate services. Please contact Amanda Gallo for more information. Join Chris Herren and The Herren Project team as we train for and run all types of running events, to celebrate life and strive for a better tomorrow. Every dollar raised supports The Herren Project’s areas of focus, including treatment navigation, educational initiatives and mentoring programs, in the hopes of saving a life and making a positive difference in the lives of those touched by addiction. YOU ARE A RUNNER! The ALS Association’s mission is to lead the fight to cure and treat ALS through global, cutting-edge research and to empower people with Lou Gehrig’s Disease and their families to live fuller lives by providing them with compassionate care and support. Our services are made possible by the generosity of others. From the smallest donation to the largest gift, donors touch the ALS community with hope for the future. This terrible disease knows no racial, ethnic or socioeconomic boundaries. It can strike anyone at any time. Team ALS athletes combine their passion and commitment to finding a cure for ALS while achieving physical challenges through athletic events, such as marathons, triathlons, long-distance rides, swimming, winter sports, and obstacle course races. We are spreading awareness and making a difference with every mile! The T.J. Martell Foundation is the music industry’s leading foundation that funds medical research focused on finding treatments and cures for cancer. The foundation was established by former music industry executive Tony Martell in 1975 after his son T.J. passed away from leukemia. The Foundation has provided more than $280 million in support of innovative research to fight cancer. Team T.J. Martell focuses on funding the brightest minds that will be the leaders in scientific cancer research of tomorrow. Please support us as we run to keep music’s promise for a cure. For more information or to join Team T.J. Martell please contact Isabella Heras at iheras@tjmartell.org or 646-841-1394. Team In Training is the largest charity endurance training program in the world –powered by 650,000 athletes who have raised over $1 billion. Our program prepares athletes for premier endurance challenges –creating lifelong memories with incredible experiences that unite teammates in pursuit of raising money for The Leukemia & Lymphoma Society (LLS) and curing cancer. LLS’s mission is to: cure leukemia, lymphoma, Hodgkin’s Disease and myeloma, and improve the quality of life of patients and their families. LLS has invested over $1.2BILLION in research and has supported nearly all of the innovative blood cancer treatments approved by the FDA currently on the market. Survival rates for several types of leukemia and lymphoma have increased from 10% to almost 90% due to this research, but there is still a long way to go in order to find cures for other types of blood cancer and achieve the goal of a world without blood cancer. For more information, please contact Lisa Brunengraber at lisa.brunengraber@lls.org or 631.370.7536. Join the Friends of Karen Walk-Run team and be a champion for our precious children on and off the course. Every step you take will support Friends of Karen’s mission to provide emotional, financial and advocacy support, at no cost, to families caring for a child (ages birth to 21) with a life-threatening illness in order to keep them stable, functioning and able to cope. Cross the finish line with us knowing you are an integral part of the lifeline of support for our families.